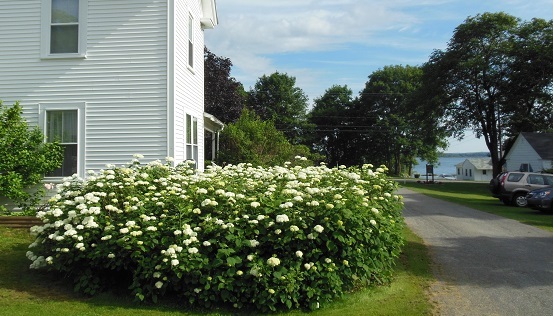 Our traditional Maine cottage colony is nestled in a peaceful hamlet on a country road across the lane from a large cove. 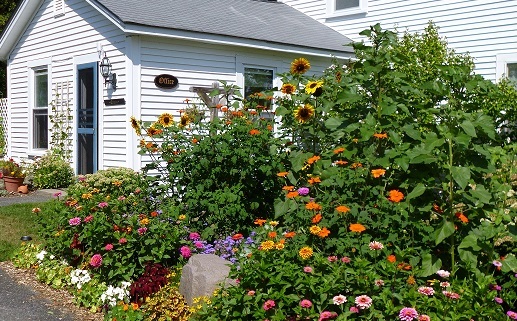 Our 12 pristine, charmingly renovated white cottages beckon visitors to our park-like setting. 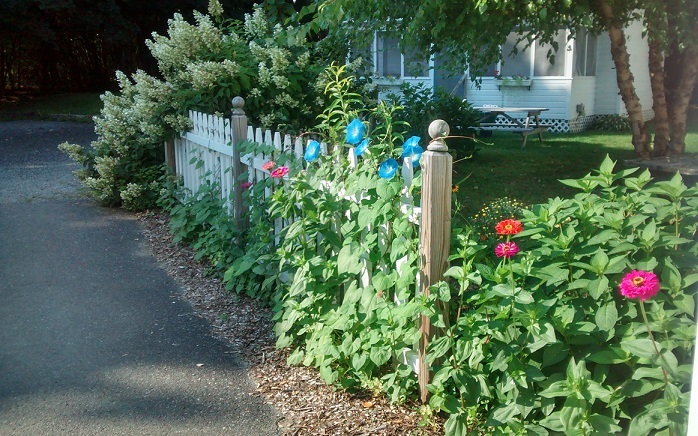 The cottages have either a partial water view or garden view and most have screened porches. To best serve your needs, we have various types of cottages which can accommodate 1 - 6 people. 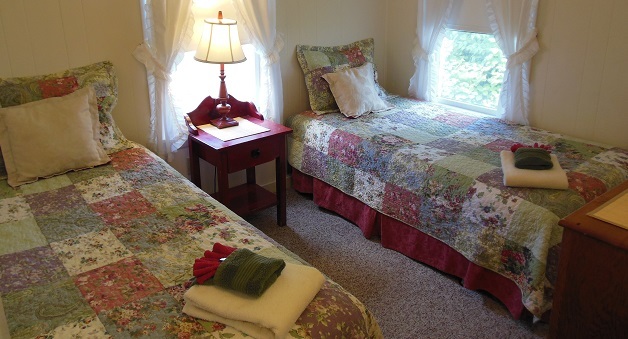 Those cottages which accommodate 3 or more persons have separate sleeping quarters for added privacy. 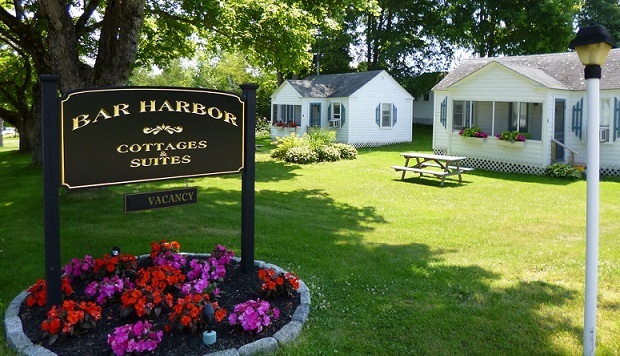 We are conveniently located about 1.5 miles to a public access beach, 4.5 miles to the Bar Harbor downtown business district, 3 miles to Acadia National Park and a 15 - 20 minute drive to the other coastal villages in the area. To read guest comments, click here. The owner, Kathy Combs, is a lodging and hospitality industry veteran who formerly owned 3 bed and breakfast inns in the Bar Harbor and Acadia National Park area. Our decorated studio, 1 and 2 bedroom, fully equipped self-catering cottages have screened porches and kitchenettes.